It is the dawn of the industrial age. 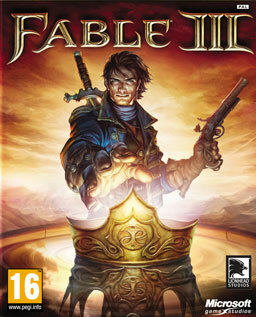 50 years have passed since the events of Fable II. The fate of Albion rests in the hands a new hero that is destined to start a revolution, overthrow the current king, take the throne, and destroy an evil darkness that threatens the land. Will the hero chose a righteous and benevolent path, or a dark and evil path? The adventure begins, and it is up to you to ultimately decide what path you choose. The story begins during a dark time in Albion. The hero’s cruel brother is seated on the throne and the people of Albion loathe him. He is a cruel and heartless ruler. The hero that you play as is the younger sibling. The great hero from Fable II happens to be one of your parents, and you are sure that the way your brother is ruling the land is not the way your parent had intended. The Final Fantasy Saga has been a long time favorite among many gamers.Â The Final Fantasy’s first MMORPG (massively multiplayer online role playing game) has done quite well and is very popular among gamers.Â Recently, the third expansion to this MMORPG has been released… Final Fantasy XI Online:Â Treasures of Aht Urhgan. In this third expansion of the ever so popular game, players search to uncover facts about the Aht Urhgan Empire.Â This is done across an entirely new continent with over 40 new areas.Â These areas include 2 new lands:Â Mount Zhayolm and Halvung.Â Theses new lands are full of new and deadly enemies including: Cerberus, Trolls, and Black Puddings. If you enjoy the fun a quirky RPG (role playing game) Atelier Iris then you may enjoy the next in the series, Atelier Iris 2: Azoth of Destiny. This second installment features a brand new story on a completely different planet, Eden. Eden is a land where the inhabitants coexist peacefully and use a magic known as Mana. They can wield the Mana with the help of alchemists. You play with 2 main characters, orphans named Felt and Viese. One day, earthquakes devastate the world of Eden. It is up to the orphans to figure out what is wrong and save Eden before it is too late. Felt gets a hold of a mythical sword called “The Azure Azoth.” Felt is then called “the Chosen One” and sent to an alternate world called Belkhyde that seems to have some influence on the problems of Eden. Viese stays on Eden and tries desperately to save it. One of the most popular MMORPG’s (massively multiplayer online role playing games) on the market is Guild Wars.Â The release of Guild Wars came with such stunning success that the second in the series was recently released, Guild Wars:Â Factions.Â This game is sure to be a success, just like its predecessor. Guild Wars:Â Factions takes place on a different continent than the first game.Â It is an Asian inspired land called Cantha.Â You don’t need to have the first Guild Wars in order to play Guild Wars: Factions.Â But it is nice if you do have it because you can travel back and forth between Cantha and Tyria (the land in the first game).Â You can play with your previously created character from the first game, or create a new one. Fans of Kingdom hearts will be glad to know that the second in the best selling game series has been released.Â In Kingdom Hearts II, Disney elements are combined with Final Fantasy elements to make a truly excellent game! The story starts one year after the events of the first Kingdom Hearts in a place called Twilight Town.Â You follow the actions of a young and troubled boy named Roxas.Â Sora, Donald, Goofy, and more characters return.Â This includes appearances by many Final Fantasy characters, along with many Disney characters that were not in the previous game.Â Visit old and new locations from Disney movies including:Â Mulan, Pirates of the Caribbean, and Beauty and the Beast.Â Sora must look for clues as to who the Heartless are and what is behind Organization XIII.Â The plot is very well written and will leave you guessing until the end… when all is finally revealed. Good RPG (role playing games) are sometimes hard to find.Â But many times, if the RPG is in several series, odds are that it is quite popular.Â One of the lesser known but good RPG series is that of Grandia.Â Recently, Grandia III was released.Â If you enjoyed the first 2 in the series, you are sure to love this one. Grandia III begins in a peaceful and quiet village.Â The lead character, Yuki, is inspired by the long forgotten: Sky Captain Schmidt, to build and fly his own airplane.Â Sky Captain Schmidt once flew further and faster than anyone and Yuki wishes to beat him.Â One day, Yuki attempts to fly his newly built airplane with his mother, Miranda.Â (Miranda looks like she could be his sister).Â He soon crosses paths with a young lady named Alfina and her not so nice brother, Emelious.Â Alfina is a Communicator.Â Communicators can talk to ancient creatures. The 108 stars of destiny are back!Â Fans of the Suikoden Saga get ready for number 5!Â Suikoden V offers many of the saga’s common themes, along with some new, but much welcomed changes. The story begins in the land of Farlena.Â Because of civil unrest, the Queen of Farlena is forced to use the Sun Rune… but at a terrible price.Â The story unfolds as a silent hero rises.Â Typical of Suikoden. When the Elder Scrolls III: Morrowind game came out for the PC, consumers were delighted. As the Elder Scrolls IV: Oblivion title was announced, consumers could hardly hold their applause. Much like the Morrowind game, Oblivion takes on another world. The game throws you into an enormous world to explore, complete with missions, quests, items, and literally thousands upon thousands of other activities for you to spend your precious time on. If you don’t know what MMORPG stands for, don’t worry-you’re not alone. MMORPG stands for massive multiplayer online role playing game…and now you can see just why MMORPG is shortened! It sounds fascinating and it is, players play in a constantly evolving virtual world online simultaneously with other online gamers. What can be so exciting about a MMORPG? Lots! Any fan of the RPG genre (role playing game) knows that captivating characters and a catchy story line are some of the most important factors that make a good RPG.Â That is why all of you RPG lovers should take a crack at Radiata stories.Â Radiata Stories has an intriguingÂ story line that will leave you laughing right at the beginning.Â In fact, I have almost wet my pants laughing at the quirky comments and events that take place throughout the game! You begin as a young hero who oddly enough is named Jack Russell.Â Jack has a smart mouth that often gets him into trouble. HeÂ dreams of joining the legendary Radiata Knights.Â Unfortunately, he is not very good and is only allowed into the Radiata Knights because his father was once a member.Â The story then moves on to a much bigger picture, that you will just have to see for yourself. The main storyline does take a bit to get to, but once it does, you will be pleasantly surprised. The story starts out in the land of Efferia.Â Here, humans and the native Efferians co-exist only because they have to.Â This is a time of endless war.Â A young man has a hatred for some of the native Efferians and wants revenge.Â He meets a young girl who has lost her memories.Â This is where the dramatic story unfolds.Â If you are concerned that this story has a cute and lovey-dovey theme, you are in for a great surprise.Â The tale is quite dark with some unexpected twists. The Gauntlet games, on a whole, tend to have quite a rough track record. On one hand, the games can be incredibly fun and interesting, especially when played with a group of friends, and have proven to be excellent in the arcade. On the other hand, each new game tends to be much too similar to the last game and the experience can get boring and repetitive very quickly. Although Midway must know this, their newest game, “Gauntlet: Seven Sorrows,” repeats many of the mistakes of previous titles and, on the whole, appears to be very uninspired. The gameplay in Gauntlet: Seven Sorrows is exactly the same as all previous iterations. Essentially, players are involved in a less than gripping storyline that has them running around various worlds and killing all the enemies they come into contact with, as would be expected in a hack-and-slash game. Truly though, the storyline is practically non-existent and adds to the game in no measurable amount. Similarly, not only is the concept of the game similar to the previous Gauntlet’s, but the whole design and dynamics are just recycled from previous games. WhenÂ Monster Hunter first came out for PS2, a friend of mine brought it over and I was immediately hooked. While other RPG’s focus way too much on the more mundane details, Monster Hunter delivers plenty of action. You get to hunt and do combat with some fierce animals, and things can get pretty graphic at times. Yep, the original Monster Hunter is a very fun, and very addictive game. So when I heard they came out with a version for the PSP, I immediately snatched it up, assuming it would be just as good as the original. And it is, for sure. The story starts out with the entire land of Tellius at war.Â The land is filled with humans and half human/half beasts.Â You alone have the ability to end the war.Â Lead and command a band of mercenaries that hold their loyalty to you and only you.Â Together you fight out epic battles to win victory over the forces of the Daein Kingdom. Dungeon Siege 2 from Microsoft has finally arrived. The original was plagued with a few key hindrances, although it was widely considered a very good game. Microsoft made the smart move of attempting to fix all of the problems while expand on the positive aspects of the game, something many forget to do when developing a sequel. These moves helped to make Dungeon Siege 2 a solid RPG. Dungeon Siege 2 really ended up accomplishing many of the goals that were intended for it. Dungeon Siege 2 is simply one of those games that just gets all of the basics right and has the right amount of unique concept and ideas to set it apart. The original game had the action spot-on and it contained some inspired visuals for its time, but now the sequel improves upon those and fixes the problems a more challenging difficulty level, a longer storyline, and overall it has enough new concepts call it a true sequel. Similar to the original game, Dungeon Siege 2 is also a fairly easy to grasp RPG. The core of the game mechanics themselves are very similar to the original game. Rather than controlling a single character and then having a couple support characters, Dungeon Siege 2 allows the player to control up to six characters in a party at once, something that isn’t too common for RPG’s. Upgrading in Dungeon Siege 2 is very unique in the RPG world and offers quite a bit of customization over how the characters develop and improve. Unlike other games, a characters class is mainly determined by what that character does in battle. When leveling up, characters than earn skill points which the player can attribute to a variety of skills. One thing that is important to know is to focus on the important skills, primarily the ones directly affecting your characters class, rather than trying to be proficient in everything (you will only end up with a very weak character). Fighting in Dungeon Siege 2 is controlled primarily by selecting a character(s) and then right-clicking on the desired target. From there, you can press one of a few simple buttons to have the other characters in the party do certain things, such as all engage in melee against the enemy, or simply let the AI control the other members of the party. While in combat, there are a decent number attacks and a good selection of skills and magic attacks to choose from. Dungeon Siege 2 uses the same graphical engine as the original Dungeon Siege. While the original game truly did look good when it came out, now the engine is quite dated. Dungeon Siege 2, although improved greatly and carrying some beautiful special effects, definitely shows the signs of this dated engine and, for the most part, isn’t overly impressive. Environments can be somewhat bland, characters a little under detailed, and the animations repetitive and poor in cases. The sound aspect of the game, however, is quite a different tale altogether. The game has an excellent audio department that really shines in its special effects. The music isn’t awe inspiring by any means, but the clings and clangs all sound perfect and are always right on cue. Just moving throughout the game, fighting the battles, and engaging in ordinary tasks sounds excellent, improving the overall quality of the game. Dungeon Siege 2 isn’t an epic RPG that will grip fans and produce tons of followers, however it does succeed in delivering an original, fun experience that most RPG fans will enjoy. If you love RPG’s on the PC, then Dungeon Siege 2 should definitely be considered for purchase. City of Heroes delivered a pretty solid experience. It allowed gamers the rare opportunity to play as comic book heroes in an enticing new MMORPG game. However, it did suffer from repetitive mission concepts and some clunky features. Now, City of Villains has arrived. Although brethren to City of Heroes, it contains many of its own new features and, thankfully, is actually a pretty decent game. From the launch of City of Heroes, gamers everywhere were wondering why the villains got no lovin’. The game really did felt empty with having thousands and thousands of characters running around and using their superpowers to do what’s right. Well, sometimes gamers just want to do what’s wrong, and that’s exactly what City of Villains intends to address by adding in these darker characters and entirely new environments in which to perfect the character’s villainous abilities in. In City of Villains, players can customize their made characters by first choosing a basic character type and then from the physical aspects hair to their chests to their arms to their feet, etc., all the way to outfitting their new characters with a wide variety of cool outfits and snazzy accessories. Of course, all of this first begins by selecting the Archetype and there are five selections available: the brute, the stalker, the corrupter, the dominator, and the mastermind. Each comes with their own unique abilities that can be usefully exploited. Finding a good group to play with is very important to enjoying the City of Villains experience. As with most MMO games, being in a group is extremely beneficial for defeating missions and advancing faster all while sharing the experience with others. The Archetype’s unique and fun abilities, while powerful and engaging, can simply be not enough for tackling certain missions when they are used alone. However, in a group consisting of other Archetype’s and by combining each one’s unique abilities and powers, the group quickly becomes a powerful adversary and beating a mission, whether it be the basic “destroy this” style of mission or a more complicated and difficult boss battle, become much easier and more enjoyable. While most missions are basic and straight-forward in their nature, later missions do become more rewarding and fun in two ways. Obviously, more experience is at stake and better items and accessories can be found, but also the plots to the missions begin to be longer and involve more intricate twists and turns, better engaging the player into the game and making the victory of completing the mission that much more pleasant and rewarding in the end. City of Villains offers some pretty basic combat. It rides the middle ground of being engaging enough to keep the game fun and interesting while not trying to overload the player. Luckily, the combat system is designed efficiently enough so that during the recharge of attacks it is easy to preload the next actions to properly suit the situation whether it be summoning a new minion, healing a character, or using a special power. Thankfully, City of Villains also offers a PvP mode. While it isn’t overly innovative and really could have involved more (i.e. a heroes vs. villains type that would connect the two games), the PvP mode is engaging and should please many gamers. PvP is enabled in pre-determined areas of the game, each carrying its own level limit that characters must be above in order to be allowed to compete in the combat. However, what should be mentioned is that the PvP combat tends to allow to many characters to engage at once. Sure, in concept this could create a frenzied, fun experience, but in reality it makes it so that even high-end computers will find themselves slowing down severely due to the overload caused by so many players. It isn’t World of Warcraft by any means, but City of Villains looks decent for an MMO game. The engine is the same as that of City of Heroes with only a few minor additions and improvements. This means that character models aren’t overly detailed or flamboyantly pretty, but the environments tend to be very expansive, well laid out, full of alleyways and places to explore, and overall very well designed and constructed. The special effects are sparkly indeed but definitely nothing that will catch a player’s eye for too long. Overall, the graphics hold their own but won’t draw in any gamers based solely on them alone. It is sad, but most of City of Villains audio comes directly from City of Heroes. Particularly, attacks and villains’ powers all sound the exact same as those from City of Heroes. Indeed, the music also really doesn’t seem to grasp the evilness that should go along with the game and its villain premise. Really, the game could have used a big pick-up and overhaul in the audio department. If one enjoys the game, there is indeed much reason to replay it.. Sure, veteran players will find the game repetitive, but newcomers who have never played City of Heroes before will find the experience in City of Villains to be a very enjoyable one. There are plenty of missions to be played that offer hours and hours of gameplay time. As with most MMO’s, if a player enjoys it then that player will find a lot of reason to play the game more and more. While City of Villains isn’t the most original, innovative, or technologically advanced MMO game ever made, it still gets its job done in terms of being a solid, fun game with plenty to offer gamers. It has a lot of features and a unique concept that at the very least should be appealing to those looking to play as a comic book villain.